Actor, Playwright, Motivational Speaker, Dissability Activist. Robert Horton was born in Los Angeles, California, USA as Meade Howard Horton Jr. He was an actor, known for Wagon Train (1957), As the World Turns (1956) and A Man Called Shenandoah (1965). He was married to Mary Katherine Jobe (1945-1950), Barbara Ruick (1953-1956), and Marilynn Bradley (1960-2016). 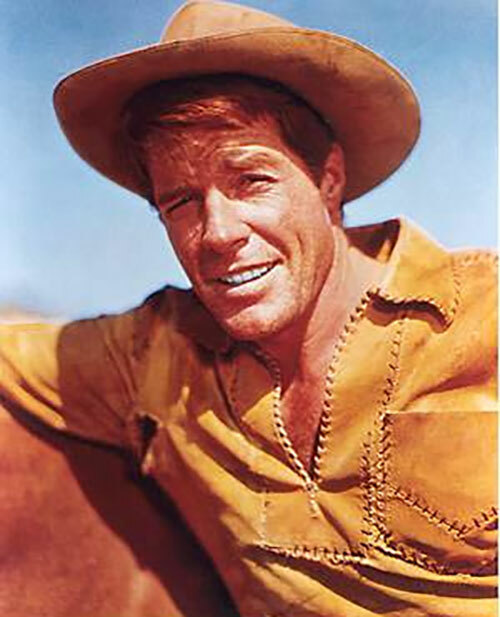 Robert Horton was often described as "6’ of redheaded dynamite" (though he’s actually a shade over 6’), and we, his loyal fans, certainly agree with that! Even though his hair is now a gorgeous "silver," he still packs plenty of dynamite! His hobbies include flying and collecting fancy cars. He owned his own plane, a Piper Comanche 250, from 1957 to 1998, and he logged over a thousand hours while flying all across the country, often with his accomplished wife Marilynn as his co-pilot and navigator. Persistence and determination are omnipotent." Mr. Horton did all of his own riding and stunts on most of the Wagon Train and A Man Called Shenandoah series, and he owned the Appaloosa horse he often rode in both series. The Appaloosa's name was "Stormy Night" since he got him on a stormy night at a rodeo in Idaho. "Little Buck" was the name of the horse he rode early in the Wagon Train series. A full listing of his credits, go to imdb.com.